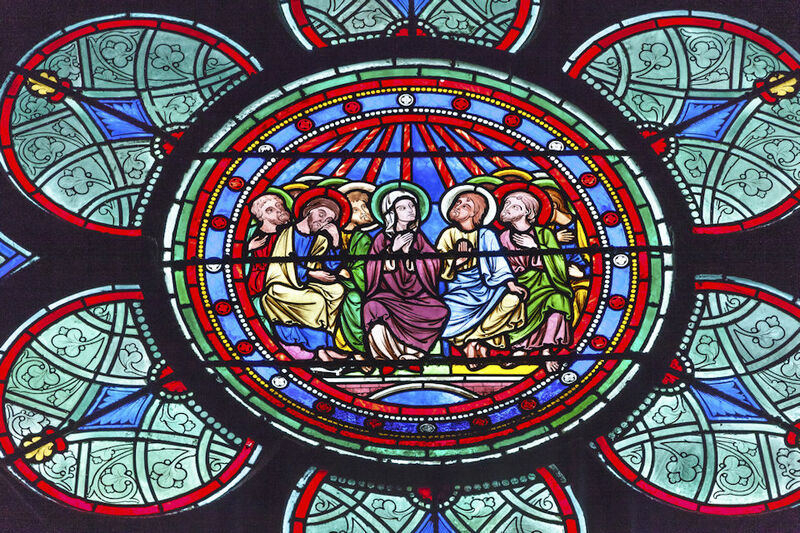 Disciples-Mary-Jesus Christ Stained Glass Notre Dame Cathedral Paris France. Notre Dame was built between 1163 and 1250AD and suffered a major conflagration on April 15, 2019. The French vow to bring the cathedral back out from the ashes. Reflecting on Jesus’ journey through the events of Holy Week in Jerusalem, Bishop David Bard shares an Easter message in this three-minute video. Designed to be shared with your congregation this Sunday.